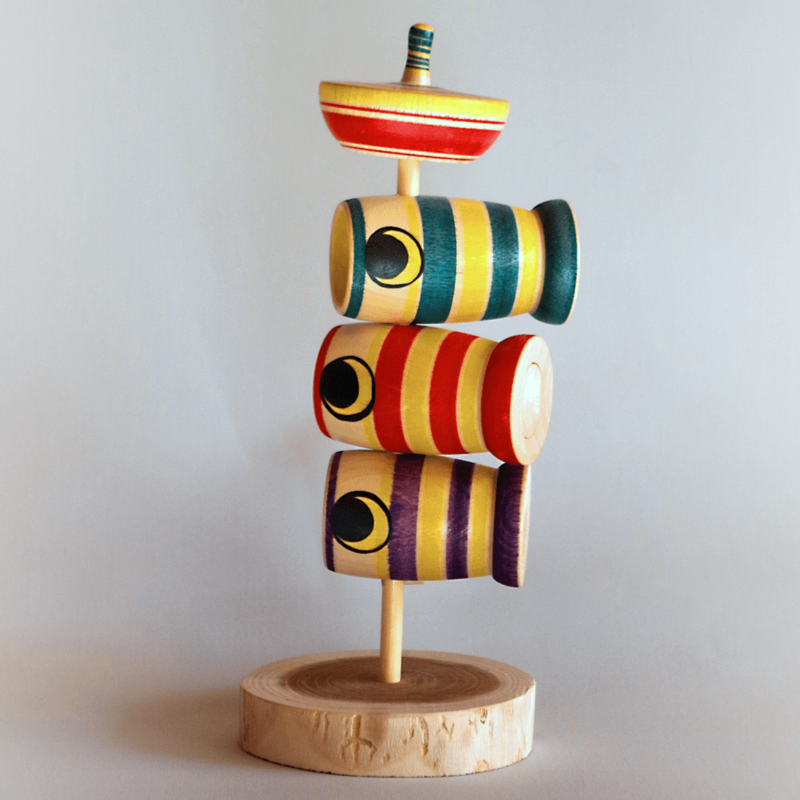 Lucky charms made to fulfill a particular hope by woodturners keeping the traditions alive. A top spins on the top of a carp streamer. It is somewhat fun because the carp streamer can be swung around.